How LED Street Light Manufacturers in China Have Made a Difference to the World? Browse: Home > How LED Street Light Manufacturers in China Have Made a Difference to the World? Street lights are very important and there’s no need to elaborate on it! For driving, walking or vision in general, LED street lights have been designed and developed to ensure smooth as well as safe traffic after dusk. With the increasing number of vehicles plying on the roads today, there is a steady demand for environment-friendly lighting solutions. LED street light manufacturers in China has successfully met the rising demand for excellent solutions in street lights. WSLEDLIGHT is here to make a difference to the world of lighting by supplying genuine and high quality LED lights. Street lights are usually needed in large number. So, when the streets have to be illuminated with bright lights to maintain safety, more and more energy is required. Mercury and sodium lamps require excess power. In the 90’s, the overall power consumption of these types of lights went way beyond normal levels. As such, researchers and scientists started finding other options to reduce power consumption. It was then that LED technology was developed, which later emerged as one of the best solutions. LED lights not only consume lesser power than any conventional mercury or sodium lights, but also ensure better lighter. Most importantly, these lights last longer. LED street lights are the perfect examples of high quality integrated lights. Bulbs attached to these lights are not separated from the underlying panel, which gives better illumination effect. Above all, LED street lights prevent street pollution, which is considered a boon. 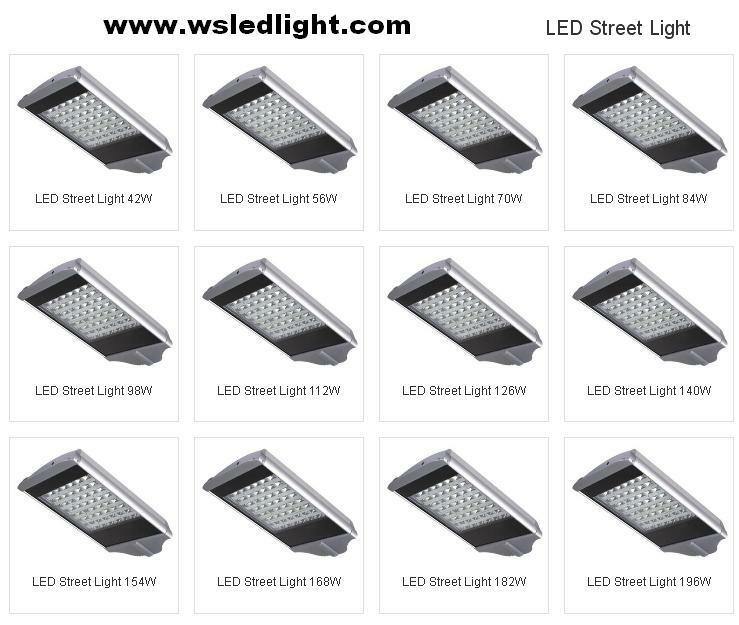 LED street light manufacturers in China are doing a great job!